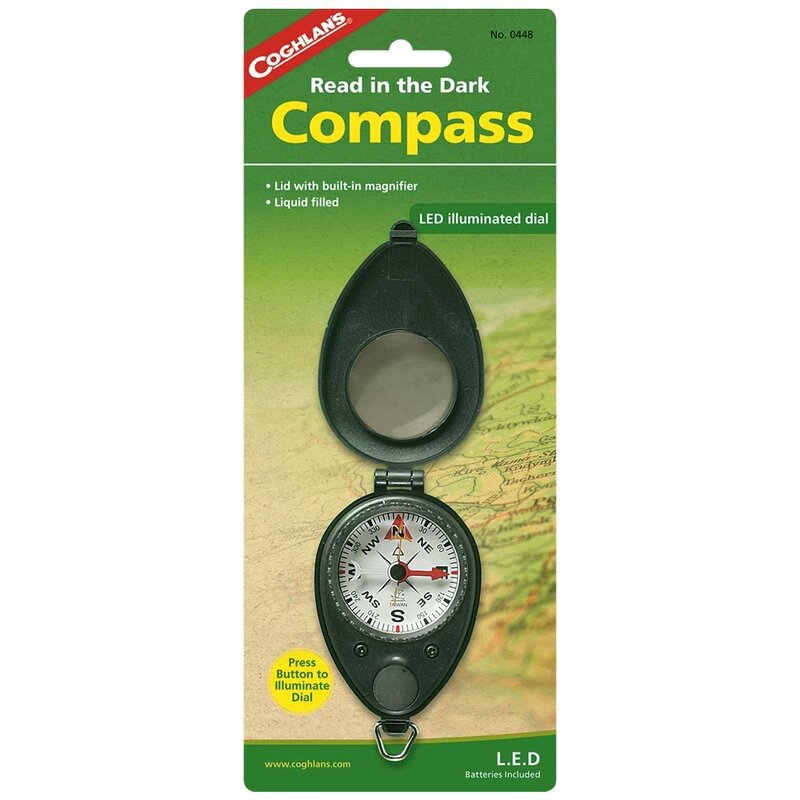 Liquid filled compass with LED illuminated dial. Lid with built-in magnifier. Bezel with direction setting arrow. Batteries included.